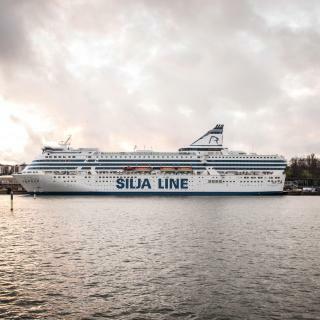 Looking for deals in Helsinki? This unique boutique hotel is located just next to Esplanadi shopping street and offers air-conditioned rooms with free WiFi. When our family had a little medical crisis, the staff went above and beyond to assist. Walking distance to all the great parts of Helsinki. The room was very comfy especially the bed and plenty of space for 4 of us which included a rollaway and couch for my 2nd son. Lots of English channels on TV. Big curtains to block out the summertime sun. Nice breakfast. Featuring a quiet courtyard and views of the city, this Art Deco-themed boutique hotel offers elegantly-fitted rooms in central Helsinki. Very comfortable, liked most things. Lovely breakfast hit the spot after an extremely comfortable night's sleep. Located on the historic Bulevardi avenue in trendy Punavuori, this boutique hotel is 1969 feet from Kamppi Metro Station. Hotel Indigo Helsinki was Top Notch! It was in a fantastic location -- we were able to walk everywhere we wanted to go! Stores, restaurants, bars and boutiques were all in the same area. The staff was fantastic!! Friendly, helpful and accommodating. The bed was comfortable, the bathroom spacious and everything was clean. I would recommend Hotel Indigo Helsinki to everyone! 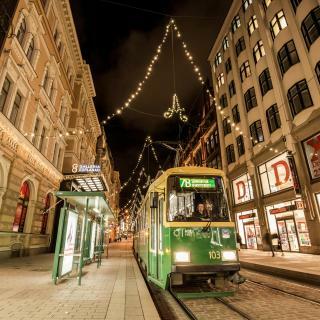 Hotel Fabian is within a 5 minute walk of Helsinki’s famous Market Square and the Esplanadi shopping streets. It was very centrally located to all the sights. Overlooking Helsinki Harbor, this elegant hotel is just around the corner from the Esplanadi shopping streets. The location on the waterfront was excellent. It was close to major sights, shopping and great restaurants. The hotel organised transfers to and from the airport which was appreciated. The reception staff were extremely friendly and helpful. Housed in a converted prison from 1837, this atmospheric hotel is found on Katajanokka Island in central Helsinki. The whole atmosphere of the hotel. Also the people of Helsinki were very friendly and sights were good. This stylish design hotel, opened in August 2012, is 0.9 mi from Helsinki Central Station and just 164 feet from Hakaniemi Metro Station. Staff were really lovely and helpful. Breakfast was really good. Easy walk to most sight seeing. Located by the waterfront of Katajanokka, Scandic Grand Marina is housed in 1920s Art Nouveau building and offers free WiFi, sauna, gym and a 24-hour on-site shop. The location was excellent; on the water but a short walk to the esplanade and city center. This hotel is 656 feet from Helsinki Central Station and 1312 feet from Helsinki’s Esplanaden shopping district. Free WiFi and free access to the sauna and gym are offered here. Good location, very clean and comfort bed. The breakfast is awesome. Featuring the Plaza Restaurant, this historical hotel from 1917 is next to Kaisaniemi Park, 492 feet from Helsinki Central Station. Nice and clean. Great location. All in all a bit pricey but worth the money. Featuring a communal sauna and guest kitchen, Forenom Aparthotel Helsinki Herttoniemi is 4.3 mi from Helsinki city center. Great room with unique hotel-apartment concept. Set in a 1900s Art Nouveau castle, 2297 feet from Helsinki city center, this hotel features free in-room WiFi. Aleksanterin Teatteri Tram Stop is 820 feet away. The staff went out of their way to make our stay a really good one! Excellent breakfast! 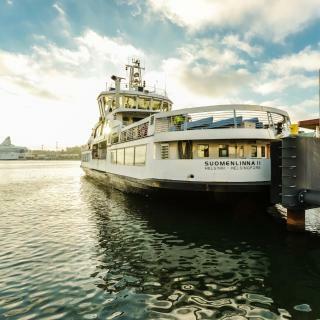 Located in the Katajanokka district of Helsinki, Hotel Boat Isosaari has accommodations with a terrace and free WiFi. Location, interesting experience to stay at the boat. Just 820 feet from Kamppi Metro Station, this stylish Helsinki hotel is set in a refurbished 1920s building. Guests have free, daily access to a relaxing sauna. Right in the city center only 3 minutes away from the main shopping center. The stylish property offers accommodations next to the Esplanadi shopping streets, about 10 minutes' walk from Helsinki Central Station. It provides an on-site gym, business center and bookable sauna.... The staff was super nice and the location was perfect! This waterfront hotel is in a quiet, green district, 10 minutes’ drive from central Helsinki. It offers free access to WiFi, gym, sauna and pool. Surrounded by peaceful green neighborhood. This hotel is just 15 minutes’ walk from Helsinki Central Station and the Design Museum. It offers free WiFi and a popular breakfast buffet. Hotel attendees where very helpful and warm welcoming. Which hotels in Helsinki have nice views? Hotel Rantapuisto, Hilton Helsinki Kalastajatorppa, and Clarion Hotel Helsinki got great room view-related reviews from travelers in Helsinki. How much is a hotel in Helsinki for this weekend? The average price per night for a 3-star hotel in Helsinki this weekend is $238 or, for a 4-star hotel, $308. Looking for something even fancier? 5-star hotels in Helsinki for this weekend cost around $390 per night, on average (based on Booking.com prices). Which hotels in Helsinki are good for families? Many families visiting Helsinki loved staying at Hotel F6, Hotel Haven, and Hotel Fabian. What are the best hotels in Helsinki near Vantaa Airport? Travelers who stayed in Helsinki near Vantaa Airport (HEL) have said good things about Glo Hotel Airport, Scandic Helsinki Airport, and Hilton Helsinki Airport. Which hotels are the best ones to stay at in Helsinki? Hotel F6, Hotel Fabian, and Hotel Lilla Roberts are some of the popular hotels in Helsinki. What are the best hotels in Helsinki near Hartwall Arena? Some of the best hotels in Helsinki near Hartwall Arena include 2 room apartment in Pasila, Myö Hostel and Hiisi Homes Helsinki Pasila. Which neighborhood is the best one to stay at in Helsinki? Kamppi, Punavuori, and Kruununhaka are popular with other travelers visiting Helsinki. Which hotels in Helsinki offer an especially good breakfast? For hotels in Helsinki that serve highly-rated breakfasts, try Lapland Hotels Bulevardi, Hilton Helsinki Strand, and Hilton Helsinki Kalastajatorppa. How much does it cost to stay in a hotel in Helsinki? On average, 3-star hotels in Helsinki cost $108 per night, and 4-star hotels in Helsinki are $150 per night. If you're looking for something really special, a 5-star hotel in Helsinki can be found for $218 per night, on average (based on Booking.com prices). How much is a hotel in Helsinki for tonight? 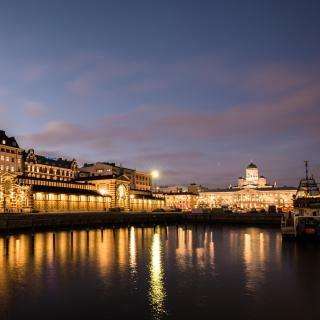 On average, it costs $109 per night to book a 3-star hotel in Helsinki for tonight. You'll pay around $161 if you choose to stay in a 4-star hotel tonight, while a 5-star hotel in Helsinki will cost around $208, on average (based on Booking.com prices). Which hotels in Helsinki are good for couples? These hotels in Helsinki are highly rated by couples: Lapland Hotels Bulevardi, Hotel F6, and Hotel Fabian. 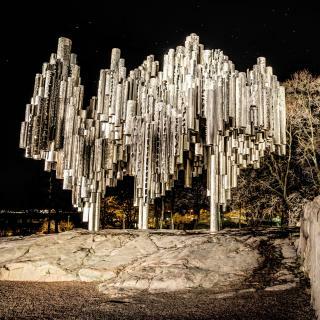 Scratch beneath the small-town surface of Helsinki and you will find a cosmopolitan metropolis buzzing with a lively attitude and plenty of excitement. The relatively short-lived summer offers the best chance to appreciate the outdoors and sit on one of the popular café terraces, or even hit the Hietaniemi Beach, all of which can be enjoyed during the 20 hours of daylight. 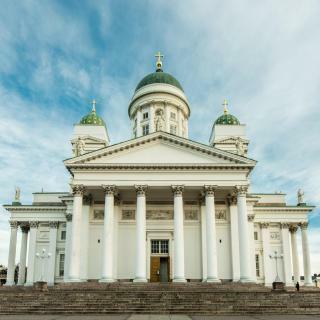 Strolling around the streets of Helsinki will reveal an Empire-style of architecture, comparable to St. Petersburg. The greatest example of this is the green-domed Lutheran Cathedral which rises proudly out of the center of Senate Square. From here the main shopping street of Aleksanterinkatu, affectionately known as Aleksi, runs towards Mannerheimintie and contains the largest department store in Scandanavia, called Stockmann. The up-market boulevard of Esplanadi runs alongside and is packed with exclusive boutiques. 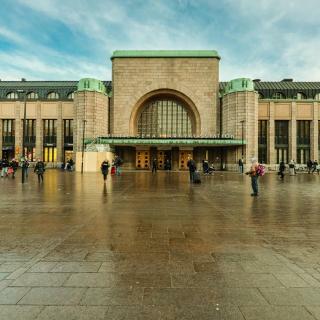 Lovers of Nordic design will be thrilled by the Design Museum and the Ateneum Art Museum. Nature is in abundance on the beautiful archipelago which lies along the coast. A must-see is the Baltic fortress of Suomenlinna, where you just might forget you’re in a big city. 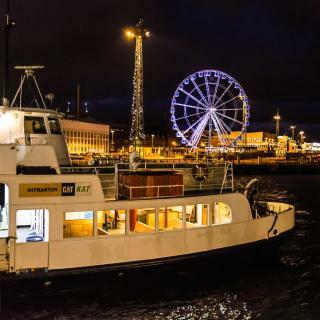 Whether you head to a sauna or amusement park when you disembark from Helsinki-Vantaa International Airport, with over 65 hotels, apartments and hostels, Booking.com has the perfect place for your Scandinavian stay. Helsinki, a beautiful city! Feels safe to walk around, is organised. The airport is fantastic too, just enough shopping, located not far from the city centre. Finnish food to me is quite simple, but utilises fresh and wholesome ingredients! The Finnish culture is apparent in their food, architecture and service. The hotels are designed very comfortably, heated floors and heated racks in the bathroom and bedroom. It is -5 outside, but in the rooms, so comfortable. Also went to Lapland area for a week and I have to say, I will be back next year! Catching sight of the aurora is so surreal. I am telling all my friends to visit Finland now. The landscape is picture perfect, and the experience is very unique. Finland & Lapland has been the best holiday/ destination I have been to in my travels. Although i stayed at this hotel for just one night, I was in Helsinki for five days. I think that you need three solid days in the city. I would recommend a day-trip via water. If at all possible, take a day trip via water to Tallinn, Estonia. If you arrive by water, you do not have to have a visa for a stay of under 72 hours, if you're from the states. I recommend seeing all of the major sites that most travel guides recommend. The trip on the Finnair bus from the airport to the hotel in the city was very good value for money. The Wi Fi on the bus was an extra bonus. Only negative is that if you are paying in South African Rand eating out is very expensive. We enjoyed the people of this city very much -- to a person, all were helpful and friendly. The Rock Church was wonderful, Suomenlinna Island less so. We enjoyed both major cathedrals, the Market Square, the sauna experience, the smoked fish, reindeer meatballs and other unusual (for us) foods. We also had excellent meals at Kappeli restaurant and at Toscanini restaurant in the Klaus K Hotel (crazy to eat Italian in Finland, but it was convenient and excellent). We also had a very nice lunch at Cafe Bar No.9. The public transportation system was marvelous. The parts of Helsinki I saw were awesome! The parts of Helsinki I saw were awesome! We ate at great restaurants that were minutes from our hotel...the GLO Kluuvi. Helsinki was full of fabulous shopping centers and streets! Be sure to visit Kalevala jewelry boutique on the Esplanade and the Iitala glassware shop too. The water front is beautiful and inviting. The market was really a great place for hand crafted items to take home...along with delicious fresh sea food. The train station is worth a visit...awesome design. We visited three churches, which were nice. I wish we would have had time to visit the fortress...I guess I'll just have to make another trip! Just remember that it can be chilly even in the spring, so pack a jacket so you will be able to enjoy walking around the city. Emotions and smiles, very nice! Helsinki isn't a big city, but I had loved to explore city's neighborhood. Friendly people and nice subway (I had never been in the subway before). One reason what i dislike in the Helsinki - maybe it's due to the spring (a lot of cigarette butts). By the way, Helsinki is very beautiful city with nice flora fauna and wildlife - Rabbits, hah :) found in several parts of the world but in Riga where I am from, I can't found it. So, if you reading my review, you must visit Helsinki and stay in Rantapuisto Hotel! After we changed room, oure stay was nice and the surrondings quite. There was no hazzel about changing the room(loud noise from the road), the maneger was kind and helpful. Hotel is app. 5km from the City center, we had ental bikes from bicyclean the full stay. There are tram, train and bus close by the hotel. We had oure meals out off the hotel, why I vant give Amy recommendations about the hotel restaurant. Location is fantastic...It is less than a minute to airport railway... in fact the track is just next to hotel... don’t worry, it’s not noisy. It is walking distance to major shopping centres, harbourfront, parks, supermarkets, tram & bus stations, etc The breakfast is the best we had with wide selections and the coffee is great. Simply superb for our stay here. It was by water, not far from the city center. It was quiet in the room, we couldn't hear anything from the neighbors. Bathroom was perfectly clean. Two king-size beds was a treat! Breakfast was good also. We were leaving the city late, so we requested late checkout and were able to stay until 6pm which was very nice of the hotel staff. Very nice decent hotel. Loved the floor heating in the bathroom. Breakfast was very good too. Very nice staff. The receptionist who checked us in was very professional answering all our questions and giving helpful tips. The hotel is a little bit outside of the city center but easily reachable with public transportation. The location is perfect: city center, close to museums and shopping malls, lots of restaurants and supermarkets nearby. Private parking is spacious, but quite expensive. The architecture of the hotel is really cool. Very nice apart hotel. It's located in the city center. The apartment has everything you need: iron, hairdryer, kettle, microwave, coffee maker, internet, shower. Good price-quality relation of service. I really enjoyed my overnight stay in the hotel. Staff/owner was very nice. Sauna was available. Breakfast better than expected. Only 10 minutes away from AirPort by car. Nice apartment very close to the city center. Hot water and clean room. Maybe the wifi should be a little better on the 6th floor but in overall it was a very nice stay!! Nice, big, classic hotel. Location was fantastic in our case as it was right near the conference center and relatively close to the city center. The hotel is not far from the city center and our room is chic.The staff is excellent. Especially,the breakfast is very nice! The hostel is very near a bus stop that goes both to the city centre/central station and the airport (615 and 617). There is a supermarket at the ground floor. The bed is clean and there is a locket just next to the bed. Two sockets to charge your phone, a bulb above each bed. The breakfast is quite diverse, too. I attach a photo with the purple porridge (oats and blueberries). Good location just in the heart of the city. I like the private sauna. it was fun.Quiet and relaxing.Tv channels are excellent. Clean and comfortable.I'll recommend this 100%. I enjoyed the accommodation there! I liked the hotel survive and staff were friendly!